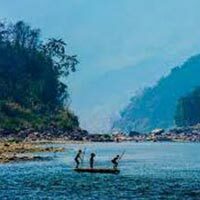 Upon your arrival to Guwahati, you will be received by our tour representative who will help you with an assisted transfer to the hotel. After the completion of check-in formalities, you are free to roam the city by yourself. This city is the starting point for most itineraries. However, there are a few things worth exploring here. Its home to some wonderful temples, the most famous among them being the Kamakhya Mandir. 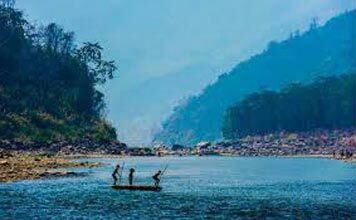 You should also explore Old Guwahati, which provides you beautiful views of the Brahmaputra River along a well-maintained promenade. For shopping, head to Fancy Bazaar, and after you are done, head to the Guwahati Planetarium for some wonderful shows on the universe. On day 2, after an enjoyable breakfast, you commence your road trip to Shillong. After arrival, check into the hotel. After some rest and relaxation, go out and explore the city! For shopping delights, head to Lewduh, also known as Barabazar, which is also the oldest and largest traditional market centers in Northeast Asia. Most of the business is conducted here by women from the local villages. Khyndailad, also known as Police Bazar, is another place worth visiting. Here, a number of hotels, multi-cuisine restaurants and shops cater to every need and requirement of the customer. This day is scheduled for a city tour of Shillong, and exploring its numerous and famous attractions. Begin your tour by visiting Ward Lake, also known as Pollock’s Lake. A beautiful manmade lake named after Sir William Ward, it also offers short garden walks and boating facilities. Visit the Cathedral Catholic Church and Capt. Williamson Sangma State Museum, which provides valuable insights into the lifestyle of the local people. Then, make your way to Shillong Peak, which, besides offering magnificent views of the countryside, is also the highest point in the state. For shopping, head to the emporiums. After enjoying your breakfast, begin your road journey from Shillong to Cherrapunjee, the place of roaring waterfalls. Once there, explore the waterfalls, caves and other renowned attractions. Visit the Mawsmai Cave, which hold the distinction of being lit enough for the tourists’ enjoyment. Here, the stalactites and stalagmite caves have innumerable forms, shapes and sizes. Then, hold your breath as you come across the majestic beauty of the Nohkalikai Falls, the highest waterfall in India at 1,115ft. Visit the other famous caves like The Lawshynna Cave and Mawmluh Cave, the longest in the Indian subcontinent. Check out the other waterfalls like Noh-Sngithiang Falls, Kynrem Falls and Elephant Falls. In the evening, make your way back to Shillong. Treat yourself to a warm hearty breakfast in the morning. Then, make your way towards Umiam Lake, the biggest artificial lake in the state. Extending to an area of 220sq. km, it provides the villagers with fresh drinking water, along with fish. Enveloped by coniferous forests, it’s a haven for tranquility and solitude. Try your hand at fishing, or enjoy a picnic by its shores. Some of the other avenues of entertainment available here are boat riding, kayaking and angling. Enjoy your lunch, and make your way back to Guwahati. Check-in at the hotel on arrival. After enjoying a delightful breakfast in the morning, get an assisted transfer to the airport for your onward destination.